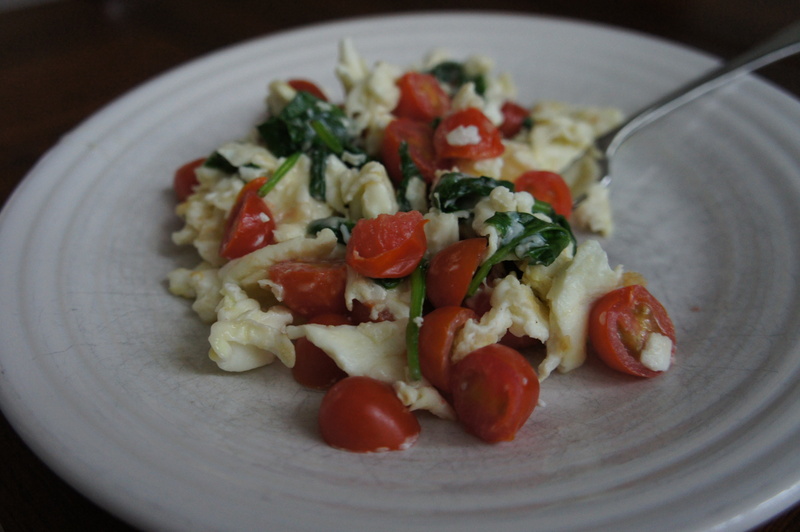 A quick new breakfast combination: egg whites + cherry tomatoes + mozzarella + spinach. Looks amazing, should I leave my door unlocked so you can come and make this for me over the weekend?? I think a little touch of fresh basil would add a little zing.